Wildlife is plentiful in Yakutat. 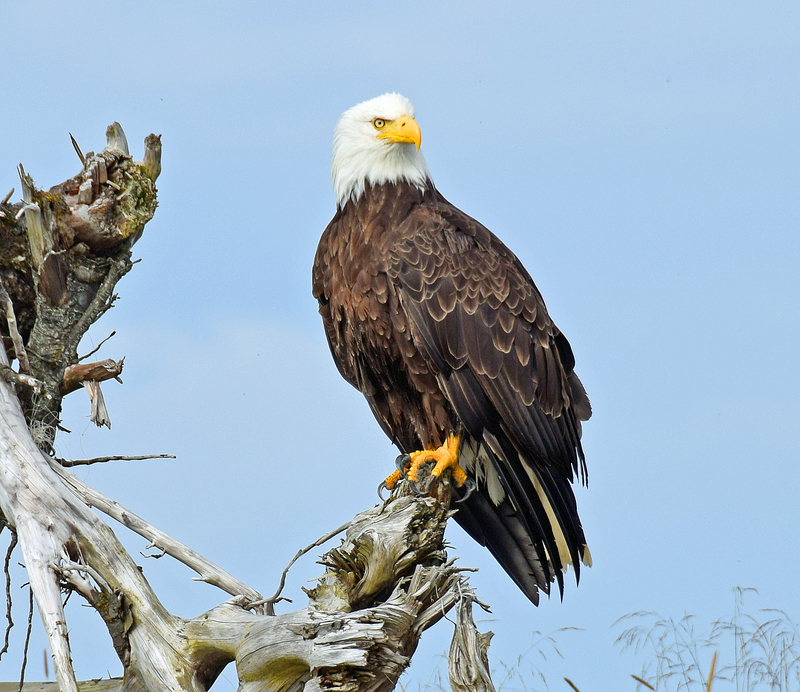 More than 200 species of birds have been identified in Yakutats forelands. Yakutat hosts the Yakutat tern Festival every year in June for your viewing pleasures. Yakutat is the corridor for hundreds of thousands of migratory birds which includes 300,000 shorebirds and hundreds of sandhill cranes, raptors and swans. Yakutat commonly sees coastal brown bears, black bears, moose, blacktail deer and bald eagles in and around town. Your chances are good for seeing a bear with the large population in and around Yakutat. Eagles abound in Yakutat. Enjoy daily viewings from any of the lodges decks in the area. The bay is always eager to provide viewing of the many harbor porpoises and seals that enjoy the waters. An occasional sighting of one of the many whales that make their migration every year is possible in Monti Bay. With all the wildlife Yakutat is home to wildlife viewing is sure to please.